Today why couldn’t I fix this MacBook that waits in its original box for months? Maybe a lack of courage facing that amount of screws? (21 screws only to lift the topcase). Probably, but anyway this very first generation (2006) of MacBook finally will show what he got inside. Symptoms: Not starting/booting, sometimes just the fan turns on, not charging and the frontal white LED blinks quickly. Duration of the project: 3 hours of tech + 4 weeks waiting parts deliveries. 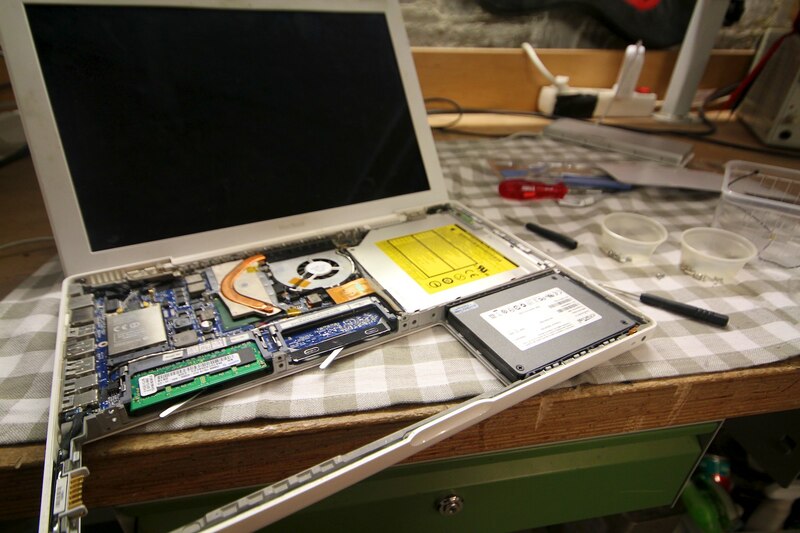 Let’s be honest, after fixing it there are only few original parts of the MacBook left. The most important is that it is working again and in finally spending a very reasonable amount of money (227 € (around 165 $)) looking at all the parts replaced. According to the manuals and forums, a fast blinking white LED means a faulty RAM. Indeed I noticed some kind of oxidation on one of the RAM strip that could be a reason for the failure. Nevertheless no RAM strip combination seemed to work. I tried 1 single strip from 256Mo to 2Gb, the same with two of them. Of course I had disconnected all unnecessary parts of the laptop, I even tried to light up the screen with a flash light instead of the backlight. Since the RAM wasn’t the weak link, I guess with low level of confidence that the motherboard/logicboard is the root cause. 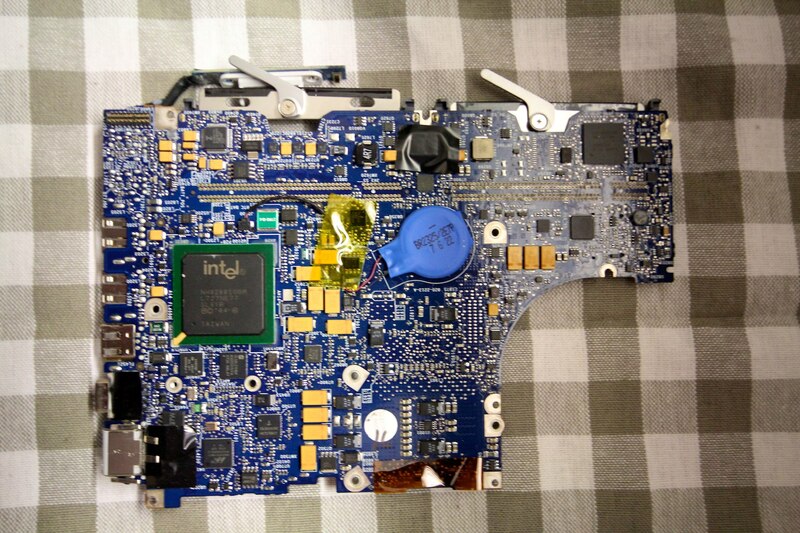 On ebay store good news, one can order any model of MacBook motherboard models in both used and new state. 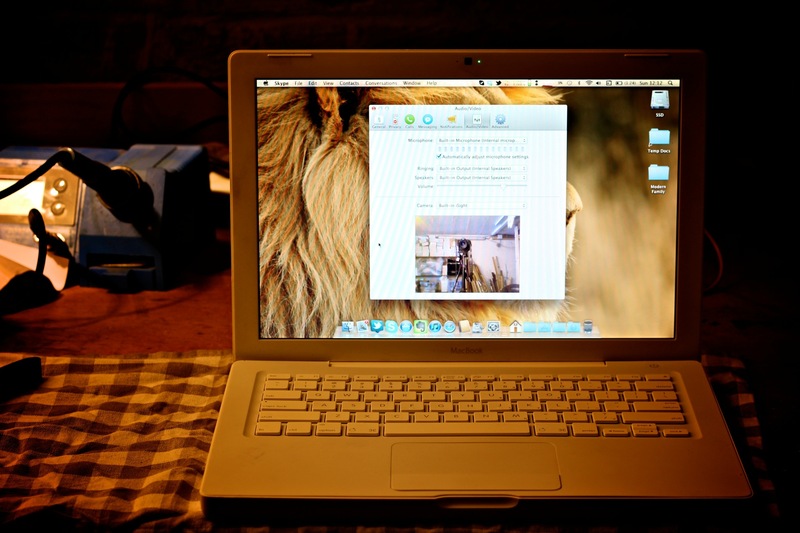 The model I have is the T2400, Core Duo 1.83 GHz from the MacBook 1.1 2006. 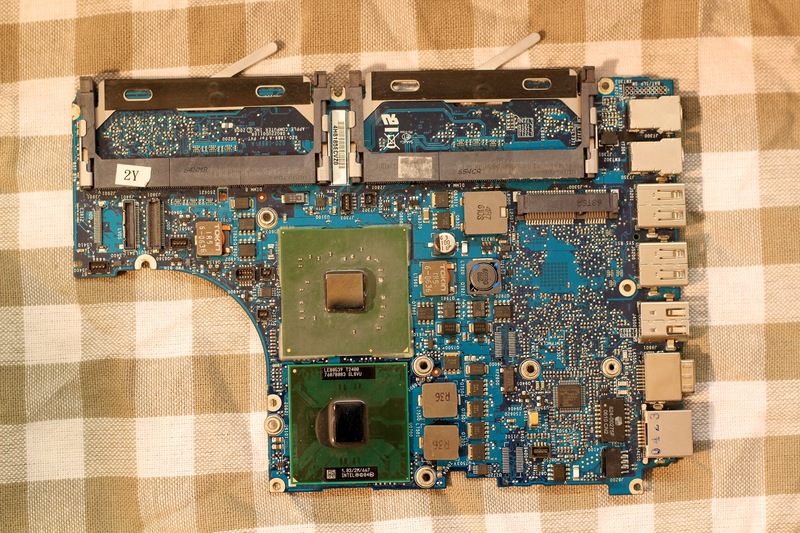 Would it be possible to replace this very first motherboard model by a more recent one? Affirmative, but with limited options. Indeed, T2400 and T7400 are switchable if you take care to equip them with the right heat sink. These have temperature sensors that show different connection plugs. 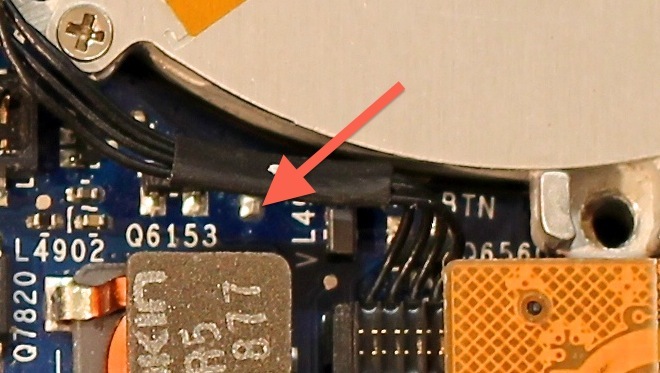 More recent models from T7300 seem to have many different connectors on the board. 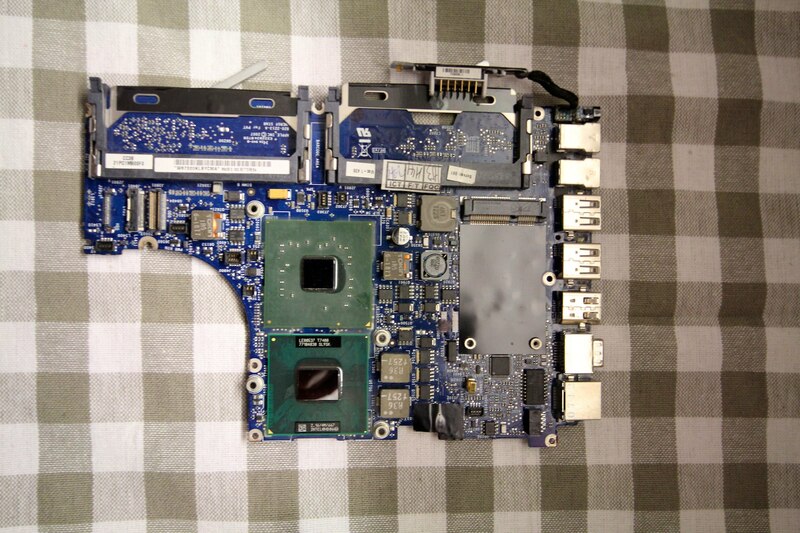 That would mean to replace many parts like the Bluetooth card, the screen, speakers, … and still the heat sink. The bravest ones might anyway want to try to solder the cables on the board. This might maybe (sensing the doubt here?) make the switch with other motherboards possible up to T8300, not saying that you might need to adjust the heat sink fastening studs. 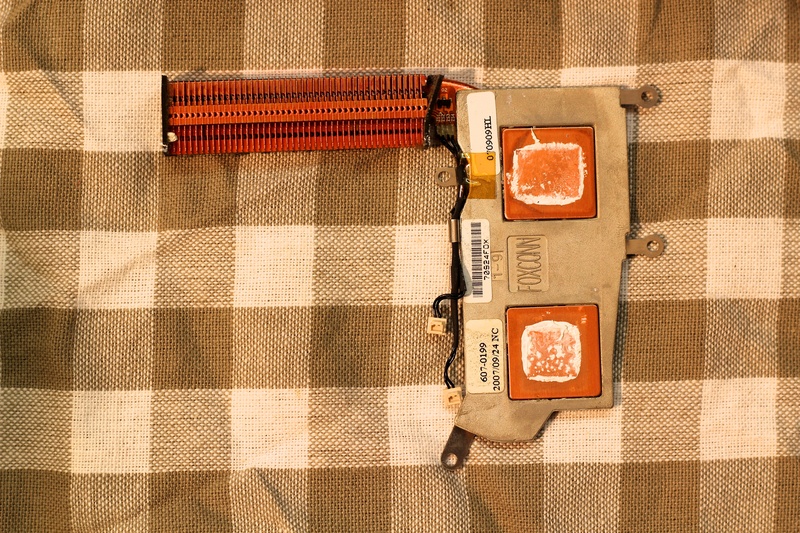 Notice the two connectors of the heat sink, type: 4-wall 1.0mm press-in. Notice the two connectors, type: 3-wall 1.2mm slide-in. It has been pretty hard to gather all the information to be able to make the right choice of motherboard and compatible heat sink. Even more difficult when you realize that a lot of information on the Internet is vague or wrong. Do not trust too much the 3-wall and 4-wall denomination that should be in theory equivalent to “press-in” and “slide-in”. The same thing for the “slide-in” term that actually is pressed in the counter-part just like the “press-in” one. Be careful on the product descriptions with those terms and pictures that do some time do not match the description. I made a pretty handy summary of what hardware has which impact on the inter-compatibility. 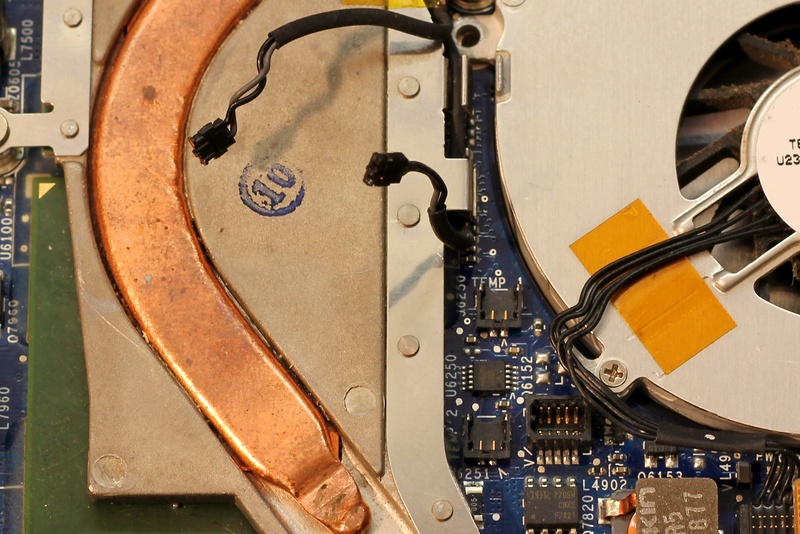 Summary – What changes between the MacBook Motherboards. T7300: the FSB switches from 667Mhz to 800Mhz, The graphic Chipset switches from GMA 950 to GMA X3100, thermal sensor connector: 1*4pins type “slide-in”, all other connectors goes from a “press-in” type ta a “slide-in” type (for the speakers, the Bluetooth card, the screen,…), also different on the fastening studs. T8100: The processor goes from a Merom family to the Penryn family, again the fastening studs change. P7350: The model name changes from A1181 to A1278, Deep modification of the board, some models go from DDR2 to DDR3, FSB switches from 800Mhz to 1066Mhz, Graphic Chipset changes from GMA X3100 to Geforce 9400M and the Superdrive connector changes. Notice the two connectors of the heatsink, type 3-wall 1.2mm “slide-in”. 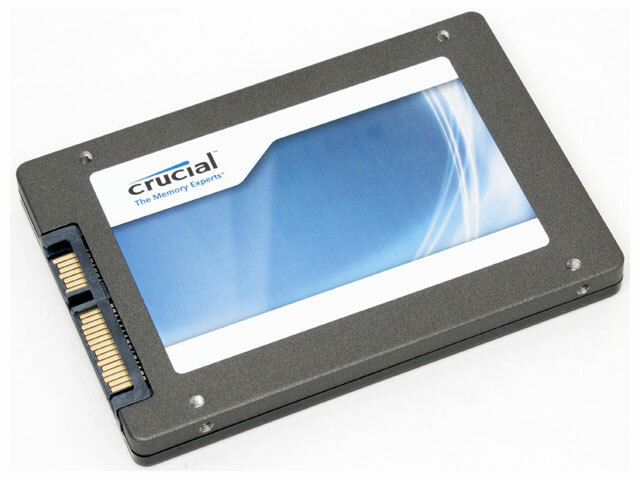 The T7400 is compatible with OS X Lion, this is an important point in the choice. OS X 10.8 Mountain Lion was not available yet at the time of the fix, anyway it wont be compatible. For it to be we need at least a P7350. Even though the motherboard was replaced, the Macbook was not starting everytime. What a shame, is the motherboard already broken? (Always a risk with used parts). Fortunately I found out that it is possible to boot without the topcase, by using to soldering points on the PCB. The result is impressive; the computer is extremely fast when you think about its age. The SSD reactivity applies, and the magic happens. Compared to my Macbook pro (late 2008) SSD 128Go, the Macbook white is faster, probably due to the fact that the old macbook white had a clean install. During the first tests I encounter a suprizing issue due to RAM quantity. By trying every kind of memory type and size I ended up trying a very low quantity of memory: around 256Mo I think. The computer booted ok up to the Lion DVD menu, but a strange random colored block appeared in place of the mouse cursor. The bloc even followed the mouse movement! How a graphic bug could ever be linked to the cursor position? Very simple actually, the RAM is shared between the graphic card and the OS. In this case there were not enough memory for the DVD OS and the graphic card, but didn’t stopped the process and overlapped information. So I guess the OS actually wrote information into a memory bloc reserved for the graphic card. Adding some RAM solved the issue and I could install the OS. The cost includes the 3 weeks delivery. Hi, i was looking for this kind of modification ad i would love to ask you something. 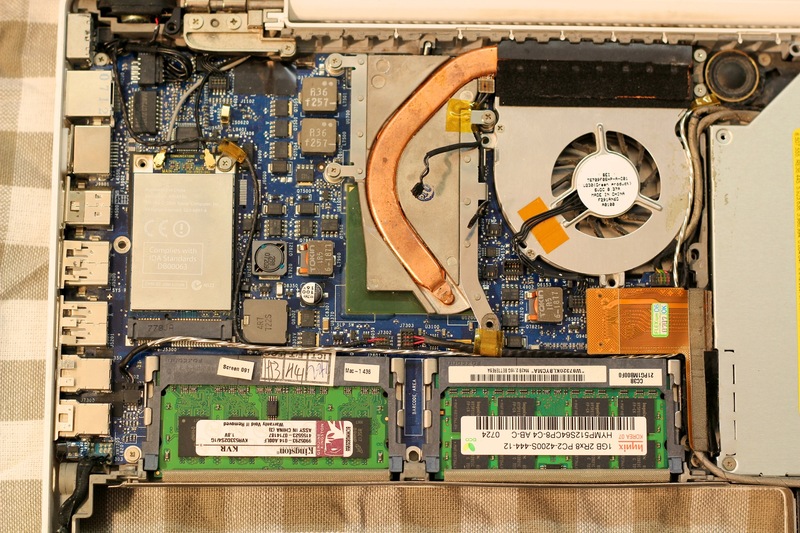 I have an early 2007 black macbook (T5600 i suppose) and i want to upgrade it with a transplant from a mid 2009 macbook (it should mount the P7350). Is it possible? Hi, indeed there is a P7350 motherboard for the A1181. I compared quickly the 2 boards and they seem quite similar in shape and mounting holes. One difference I could see (I found only low quality pictures on google) is a little shape difference near the RJ45 connector. 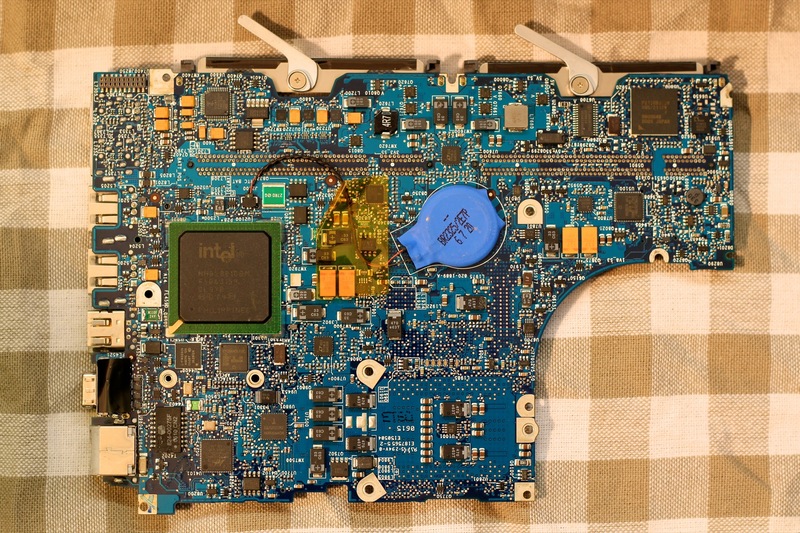 The T5600 seems to have less PCB material so if this was made to fit in the case or fit anything inside (like the superdrive) that will probably get in the way with the newer P7350 motherboard model. A visual check is needed to confirm this or not. Since the chips are also shifted on the board you will have to exchange heatsinks too. In the end it is a 2 years jump you suggesting so a lot of small details could have change and it might need a lot of debugging.